I designed a matching throw pillow for this duvet cover, which sold separately in my shop. My comforters are cozy, lightweight pieces of sleep heaven. Designs are printed onto 100% microfiber polyester fabric for brilliant images and a soft, premium touch. Lined with fluffy polyfill and available in king, queen and full sizes. Machine washable with cold water gentle cycle and mild detergent. Please choose from the drop down menu for twin, full, queen or king size comforter. 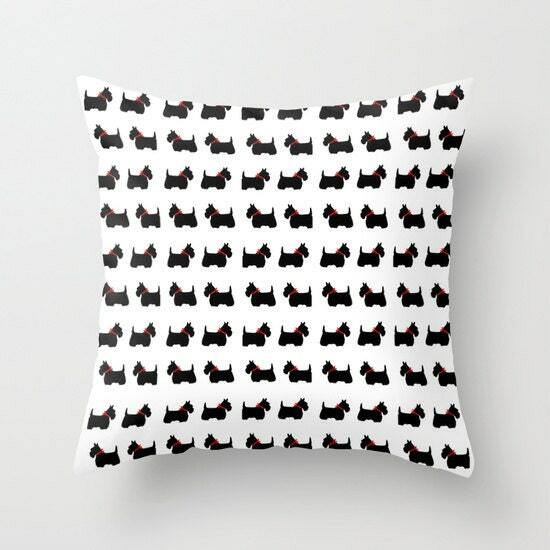 Do you see an image in my shop that is not listed as a comforter? Just send me a message, and I will make you a custom listing. 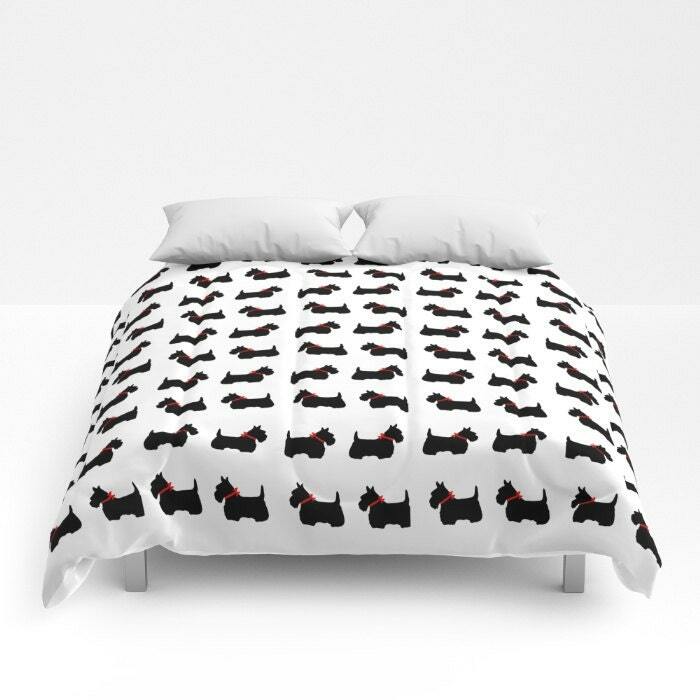 I love this Scottie dog comforter. Service was superb!